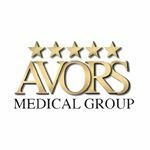 AVORS Medical Group is the leading musculoskeletal facility in California's Antelope Valley. We specialize in orthopedics, pain management and rehab, upper extremity injuries including carpal tunnel syndrome and tendinitis, and chiropractic and massage treatments. AVORS is your best destination if you've suffered a broken bone or experience long-term back pain.